Click here Click here to buy the TI-Navigator on Amazon. I got a chance to check out TI-Navigator up close and personal over the weekend as part of the TI User group I’m a part of. Texas Instruments has put together an impressive product here, with far greater capabilities than I was expecting. 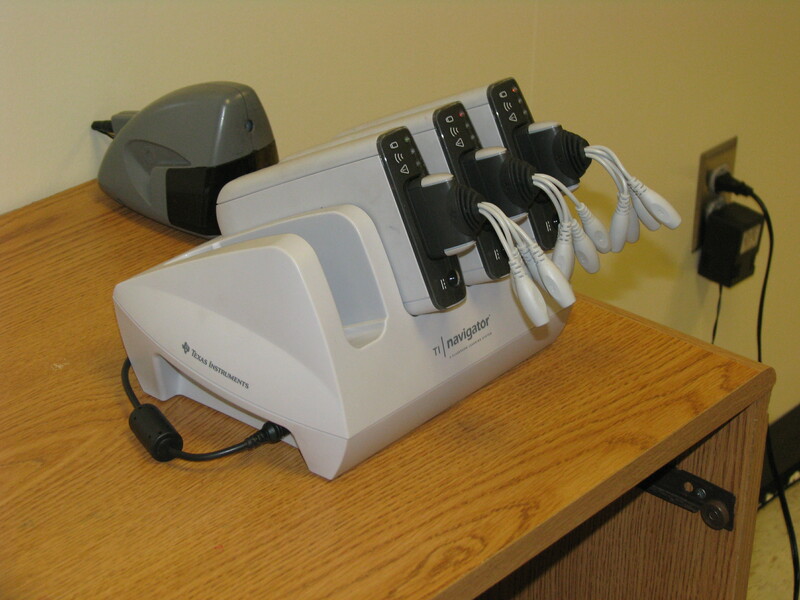 Essentially, TI-Navigator gives a teacher the ability to connect their computer to an entire classroom of TI-84 plus or TI-Nspire calculators. Why use TI-Navigator to connect a classroom? This was the question I had heading to my TI user group. It was sort of in my mind that main thing you could use the Navigator for was adding apps or upgrading the operating system of many Texas Instruments graphing calculators at the same time. It turns out I was greatly underestimating Navigator. From one computer, a teacher has the ability to view what is happening on every student’s calculator. This becomes incredibly useful when the teacher has an LCD projector and can display one or all of the calculators to the class. Suddenly, the teacher no longer has to be the one demonstrating how to use the calculator–the students can take on that role. If you have a classroom set of TI-Nspire calculators, you’ll find Navigator to be an amazing experience. TI-Navigator for the Nspire is all wireless. 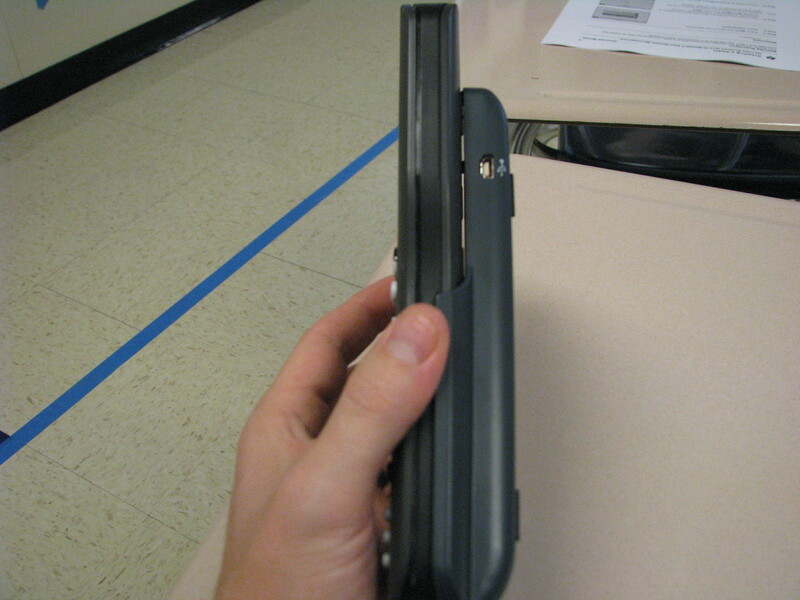 A navigator unit hooks on to each calculator, roughly doubling the thickness of the calculator. It really didn’t make the Nspire any more difficult to use. The teacher assigns each student a login and password, and once logged in to the network, you’re ready to go. Among the many capabilities of Navigator with the Nspire, let me share a few of my favorites. The teacher can put the whole class into or take the whole class out of test mode. If you’re not familiar with test mode, it locks out certain features that you might not want students to be able to access on a test. The teacher can create a variety of polls, from true/false to multiple choice to free response, making the calculator function like a clicker to questions you create. I also loved being able to see all of the calculators on screen at one so I could see where students were having difficulty as well as being able to designate one as the “demo” calculator so we could see that one student’s calculator up close and in detail (or the teacher could make their own calculator the “demo.”) You can also send documents to the students or collect documents they create to your computer to grade or check later. Navigator with the TI-84 plus is a less elegant experience, but still effective. Instead of a wireless unit that connects to each graphing calculator, you get a wireless “hub” that connect via USB to up to four TI-84’s. That means the four students will need to huddle around the hub somehow. That works well if you have students around tables. If not, it means pushing desks together. Navigator for the 84 doesn’t have every ability the Nspire version has since the TI-84 plus is a less technically advanced device. For example, there’s no creation of documents, so no ability to share pre-created documents with students or to collect their work. TI-Navigator has the potential to revolutionize a classroom when used to its full potential. It allows calculator use to move from an isolated, individual activity to a group one, where the teacher has the ability to share data and documents between students as well as quickly check what is working and what is going wrong on each student’s calculator. The TI-Nspire edition of Navigator is especially impressive given its wireless capabilities. If you can find the funding for TI-Navigator in your classroom, you’ll find no shortage of uses for it.